Imagine this: You’ve got one hour to pack for your dream vacation, and all you can take with you is a carry on – what do you toss in your bag? I can tell you one item that would definitely be in mine, whether I’m headed to Iceland’s hot springs or a beach in Bali. Activated charcoal. This is not the stuff you throw in your BBQ grill to make dijon rosemary marinaded shish kabobs. 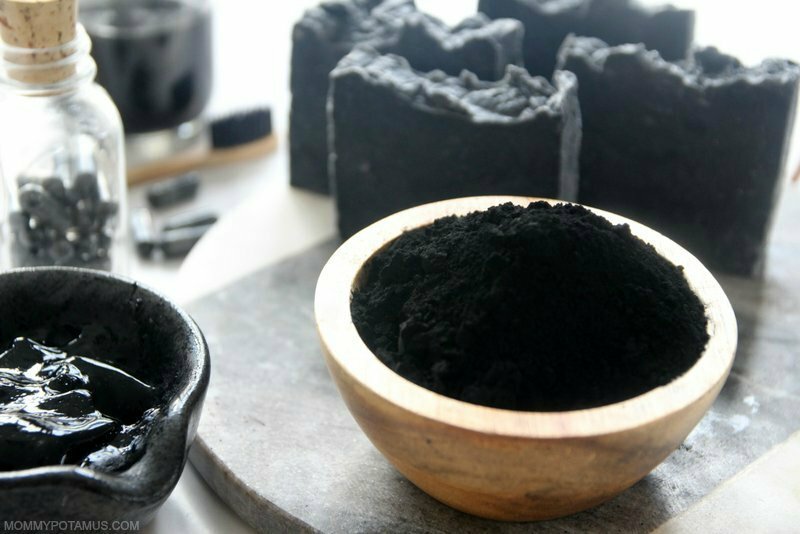 Activated charcoal is made by burning natural materials – sometimes hardwood or coconut shells – until they transform into a highly adsorbent powder or granules. Now, you know what ABsorption is – when fluid is dissolved into a liquid or solid, like water being absorbed by a paper towel. ADsorption is a little different – think of it more like a magnet binds strongly to the surface certain substances, grabbing onto them so they can’t get away. Now imagine that magnet had millions of micropores that made it able to grab on to a lot of stuff, including certain types of bacteria, heavy metals, viruses, poisons and other substances . 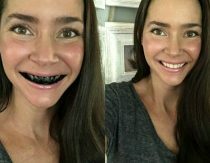 . . that’s activated charcoal. So what’s it useful for? Great question! Before we dive in, I want to say that “Best Boo-Boo Kisser South Of Puckett’s Gas Station” is about as official as things get for me professionally. I am not a doctor, this is not medical advice, these statements have not been evaluated by the FDA and are not meant to diagnose, treat, or cure any disease, and your medical decisions are completely up to you. If you need some convincing on this, read my full disclaimer where I say it over and over again. Also, it’s a good idea to discuss any home remedies you consider with your healthcare provider. Okay, moving on! 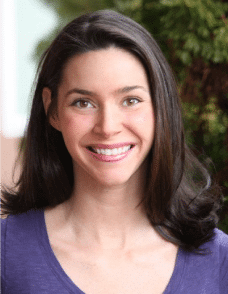 While serious situations need to be addressed by a doctor or local ER, activated charcoal is also considered helpful in situations that can often be managed at home – mild cases of food poisoning or a stomach bug, for example. I’ve also found activated charcoal to be extremely helpful for stomach bugs. Activated charcoal is used in many water filters to remove bacteria and viruses, so it makes sense that it supports the body in flushing out what’s not supposed to be there. Interestingly, this study found that activated charcoal bound more strongly to e. coli than the normal (beneficial) bacteria found in the digestive tract. It’s not the most discreet way to calm an itchy bug bite – a clear bug bite balm might be better if that’s an issue – but activated charcoal is a great option stings and bites. Just mix with a little water and dab on the area. Many people say it helps immensely with bloating as well. Studies which have examined this issue are mixed, which isn’t all that surprising. We know from research on SIBO (small intestine bacterial overgrowth) that there are two types of microorganisms that typically cause bloating – ones that produce hydrogen and ones that produce methane. They don’t usually respond to the same interventions, so it makes sense that activated charcoal might help in some cases but not others. Take it with a glass of water, two hours away from other medications and supplements. Activated charcoal binds strongly with tannins and other compounds that stain teeth, and is traditionally used in Tanzania to clean teeth. (Sarita et al.) 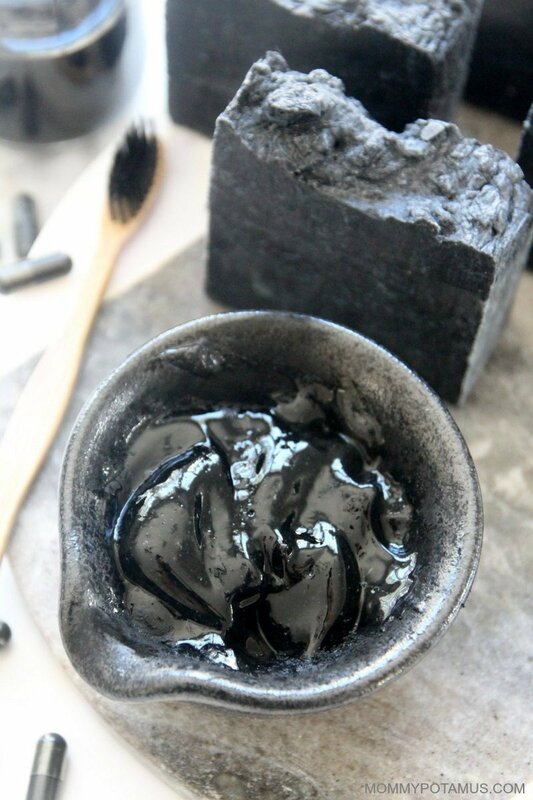 Here’s how to whiten teeth naturally with activated charcoal. 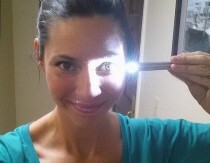 Or if you don’t have charcoal, turmeric whitens teeth, too! I developed a recipe for non-toxic face paint after the Campaign for Safe Cosmetics reported that 10 out of 10 face paints they tested were positive for lead and 6 out of 10 tested positive for other toxic heavy metals (source 1, source 2). It’s super easy to make! For deep pore cleansing, mix 1-2 capsules with enough water to make it spreadable and apply to the face area for about 10 minutes before rinsing. Follow with a moisturizer like this rosehip seed oil or my homemade hydrating skin repair serum recipe. Activated charcoal is fabulous at absorbing odors, which is one reason it’s used in air filters and even in certain wound care situations where odor becomes an issue. 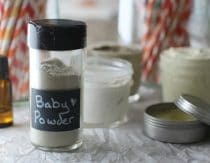 (recipe for non-toxic face paint) It’s sometimes incorporated into natural deodorants like this one, but I haven’t tried it personally since I love my homemade deodorant recipe. However, I do know that for some people who find that natural deodorants don’t quite cut it, adding a charcoal armpit mask to the routine as needed can be really helpful. 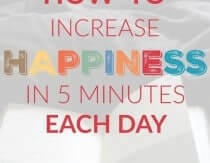 Just dump 4-5 capsules into a small bowl, mix with water until you reach a spreadable consistency, apply and let sit for 5 minutes, then rinse. You can’t use activated charcoal capsules for this one, but it’s still worth mentioning. Although I don’t love that they’re plastic, I keep a couple of portable water bottles like these on hand because they have built in activated charcoal filters. They’re my “go to” when we travel and don’t have access to the lovely spring water we have at home. Does activated charcoal prevent hangovers? Interestingly, I’ve found that when I drink Dry Farm Wines, which are grown with organic practices and don’t contain added sulfites or other ingredients that are commonly used (like sawdust and food coloring), I don’t have the issues I do with most wines. I buy this brand because it’s made from coconut shells, which is more porous (meaning it adsorbs better) than hardwood derived activated charcoal, and is also considered environmentally friendly. I once ate something that I hadn’t realized had expired by a long time. I was anxious about getting sick, so I took AC to counter-act anything. Didn’t get sick. Not sure if it helped, but it certainly didn’t hurt. I also gave some to my dog once when I thought he’d chewed up a pill my mom dropped. He was fine. Do you have any thoughts on taking this while breastfeeding? Wondering if it would be considered alright to do. I use activated charcoal along with bentonite clay as toxin binders in my recovery regime from toxic mold exposure and tick infections. It helped to bring me from being refined to bed in pain for three years to walking and getting out again and I have not yet even remediated my home. I cannot imagine how good I will feel when that is done. It works! That was supposed to read “confined to bed” not refined. Darned auto-correct! Great job! ? Keep it up. I bought a bottle of cubed AC before I realized there was the powdered capsules. Do you know if there would be any reason that I couldn’t crush the cubes into powder for easier use? Thanks! If the cubes were intended for burning incense I would not ingest them. 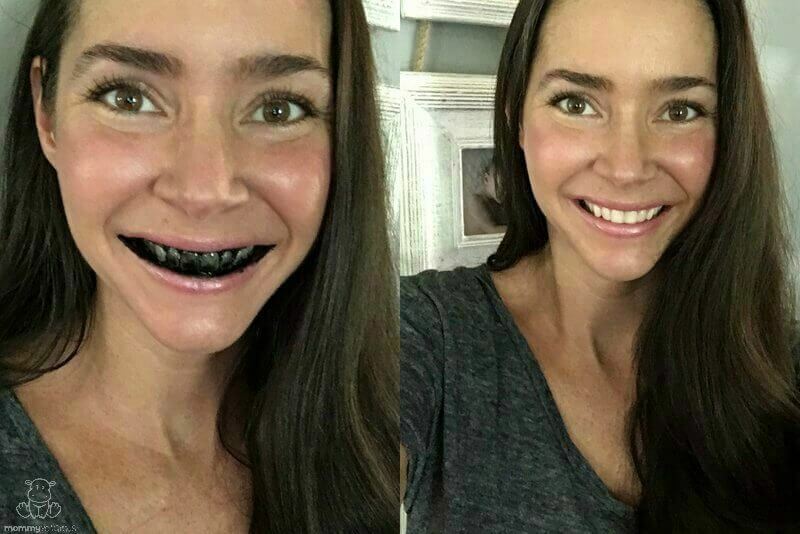 Thanks, Love Activated Charcoal. Got a stomach bug right now that it’s helped tremendously. My question is….Where did you get the cute jar/bottle??? A poultice of activated charcoal and bentonite clay completely cured my Brown Recluse spider bite on my hip last year in just three weeks, and it was a very bad bite indeed — a baseball sized ring with a nasty black spot of dead flesh about the size of a quarter in the middle after three days. I knew what it was after Day 2 but didn’t tell anybody since I knew what the doctors would do (cut, cut, and cut some more while chasing infections for a year or more is way too common). Anyway, I finally found that if you mix AC with bentonite clay into a putty (just like Silly Putty) and apply the resulting blob as a poultice three times a day (throw the old blobs out while using new ones, of course) will eventually draw out the poison while at the same time healing the wound. It worked! Now all I have is a faint pinky-nail sized pink spot left. My neighbors thought I was insane. Funny thing is, many of my neighbors have finger or even fist-sized scarred depressions in their arms or legs with horror stories about what their doctors did to them. Brown recluse spiders are very common here and every family ends up with at least one person (usually more) bitten each decade. 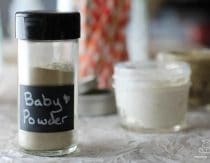 Thank gads for AC and bentonite clay is what I’ve learned via my own personal experience! Did you mix this with water? And if so what kind? Activated Charcoal is also great for stings, break open a capsule and make a paste with water and it will help pull the poison out of the sting. There are many other issues and beneficial uses of charcoal. One popular use is for use in hangovers. The issue is that if you take them before drinking alcohol charcoal capsules will absorb a lot of the alcohol. For the best effects, they should be taken right after finishing drinking and again in the morning – at recommended dosages. Assisting with alcohol hangovers is perhaps one of the most famous uses of charcoal capsules. big fan of AC! always wondered- does it bind to the ‘good stuff’ (nutrients) that you’ve ingested as well? I have your activated charcoal with an expiry date January 2015. I think that it is still ok to take it, isn’t it? I do not think that activated charcoal really expires if it was kept in the original bottle. It was open though but I do not think that it should make a difference.